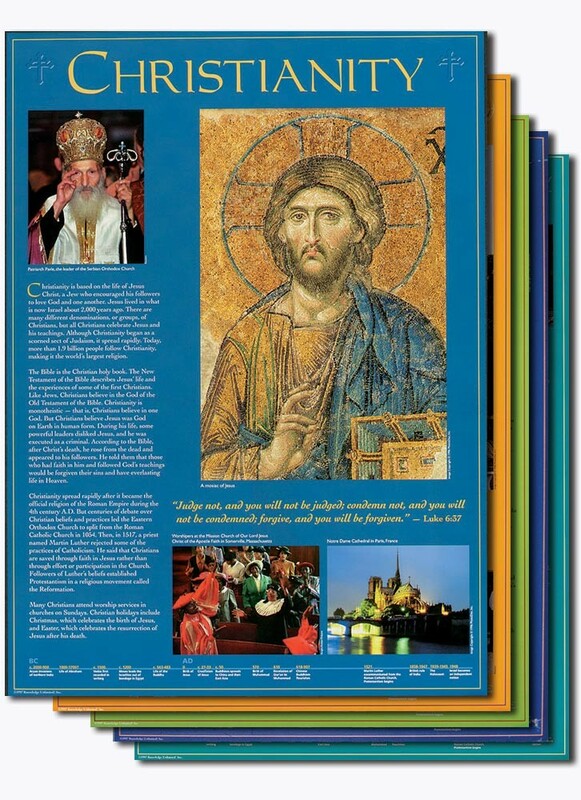 This unique set provides an ever-ready resource for teaching about five of the world's major religions. Each poster features an image of art from the religion along with smaller images depicting the religion in the modern world. Text includes a quote from the holy book or writings of each religion as well as a timeline and an explanation of core beliefs and historical background. 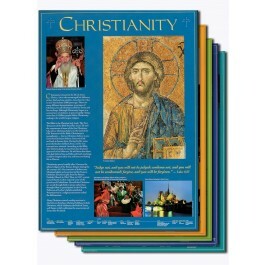 Includes Buddhism, Christianity, Hinduism, Islam, and Judaism.